Viagra Users: How Well Do you Know the Potential Injuries Associated With “the Little Blue Pill”? It’s hard to know how many men currently use Viagra, but it’s safe to say that a significant portion of the population takes this drug—yet many people are not fully aware of the potential injuries associated with it or that they may have a personal injury case on their hands. So, what is Viagra? Viagra (sildenafil) is an oral medication used by men to treat erectile dysfunction (ED). 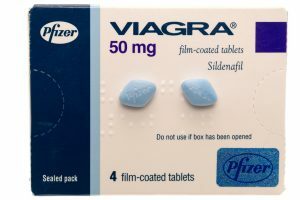 Manufactured by Pfizer, and approved by the U.S. Food and Drug Administration (FDA) to treat erectile dysfunction in 1998, Viagra has been prescribed to more than 20 million men. Often known as “the little blue pill,” Viagra is immensely popular and was the first oral medication used to treat erectile dysfunction. What are the potential injuries? A recent study published by the Journal of the American Medical Association showed that men who use Viagra have an increased risk of developing melanoma, one of the most deadly forms of skin cancer. The long-term study began in 1986 and was led by Qing Li, Ph.D, of the Harvard Medical School-Brigham and Women’s Hospital. The study surveyed over 51,000 males who worked in the health profession. This is a significant risk factor to be aware of—and one about which that you should seriously consider contacting an attorney. Why contact an attorney? Men who developed melanoma after consistent Viagra use are filing cases against the drug manufacturer, Pfizer. Since lawsuits are being filed in many different jurisdictions, these cases have been grouped together in a federal Multi-District Litigation (MDL). One federal judge is in charge of the litigation so that the common legal and factual questions can be decided more easily and consistently. Why is it important to move quickly? Statutes of limitations in each state govern the amount of time each individual has to file a case. If your case is not filed by this particular deadline, you may be permanently prevented from recovering a settlement for your injury. If you believe you have developed melanoma caused by Viagra, don’t delay! 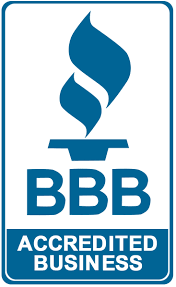 Contact Oxner + Permar immediately for a free consultation. We handle personal injury cases against pharmaceutical companies every day—and we win our clients thousands in settlement money.